Grandfather King was a farmer. But back in the 1930s, in the height of the Great Depression, things were not very good for farmers. So, to help out his family and keep food on the table, Grandfather King turned to a much more lucrative business. He started to sell bootleg rum. No matter how bad times got, it seemed people always had money for a bottle of rum. Perhaps it was because of the fact that times were so bad that people always wanted it. So Grandfather King helped them out, and made a few pennies doing so. Now, it was hard to keep something like that perfectly quiet, and before too long the police started to hear rumours of strange goings-on down at the King family farm. Every so often they would stop by to visit Grandfather King, to see if they could catch him in the act. But Grandfather King was too smart for the police. He never kept his rum anywhere they might find it. Instead, he started to carefully bury the bottles of rum up in the back garden, in different places, under the cover of darkness. No matter how hard they searched, the police could never find a thing. One night, when it was nice and dark, Grandfather King went up to the back garden as usual to get a bottle of rum. He took his shovel, paced off the right number of steps from the fencepost, and started to dig. He had just reached the first bottle of rum when he saw a very bright light coming towards him. Grandfather King's first thought was that the police had finally cottoned on to his tricks. The light came closer, so bright that he could not look at it directly. Grandfather King was not frightened, but he did not know what to do. The light was so bright it almost blinded him. As the light came closer to where Grandfather King was standing, it started to dim. When it got dull enough that he could look at it, the man saw that it was not the police with a lantern, but something much more unusual. The light was coming from the very bright eyes of what could only be described as a monster. In size it was taller than the tallest man, over nine feet in height. It was jet black and covered all over with hair an inch to an inch and half long, and its eyes were like two big saucers. It had no clothing whatsoever. The Devil himself would not frighten Grandfather King, but Grandfather King had never seen anything like the monster with the two glowing eyes. He started digging again to see what would happen. The two great eyes grew brighter and brighter, and the monster drew closer and closer. Grandfather King stopped digging. The eyes grew dim once more and the monster backed away, further into the shadows. In haste, he started shovelling dirt back into the hole, and as he filled in the hole the monster disappeared. Grandfather King took up his shovel, put it over his shoulder, and hurried home. The next day he thought about what he was going to do. 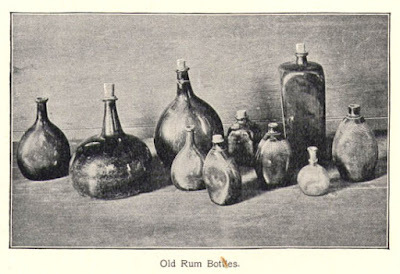 That precious rum was still buried up in the back garden, but he was not about to go dig it up during the day when people would be able to see. So he waited until nightfall. When it was dark, he took his shovel and ventured up into the back garden once more. He found the fencepost, measured off the right number of paces, and started to dig. Just like the night before, as soon as he started to dig, the bright light returned. As he dug, the hairy monster with the two great eyes drew closer and closer. When he stopped digging, the eyes grew dim and the monster moved further away. He dug a bit more, and the eyes grew so bright he was almost blinded again. Eventually, Grandfather King had to fill in the hole and go back to bed. Grandfather King became convinced that the monster was guarding something buried in the back garden. He was certain the monster was afraid he was going to find it, and this is why it appeared each night, warning him away. Being a cautious man, Grandfather King decided to leave well enough alone. He had no desire to enrage a monster nine feet high, covered with black fur and with eyes that shone like headlights. So from that point on he gave up the bootleg rum business, and put his energies into more legal activities. There are those who say the monster was guarding a great treasure. The treasure had been hidden by pirates, and they had left the monster behind to act as its protector until such a time that they could return. But the pirates never came back. 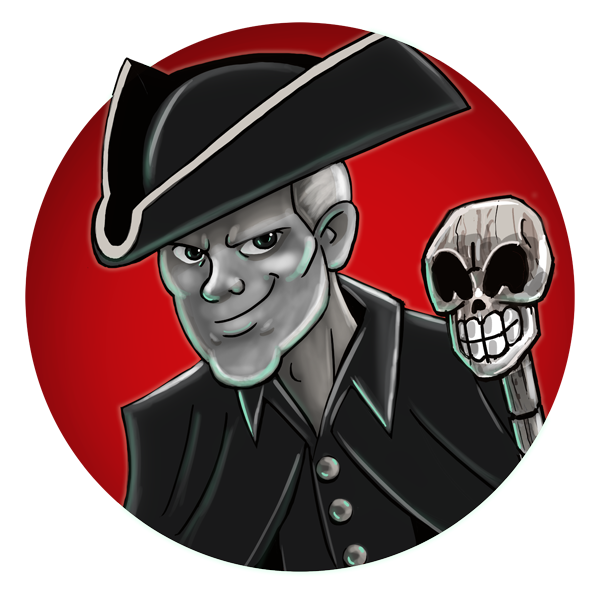 It is said that the buccaneers' treasure, along with a few bottles of well-aged rum, still lie safely hidden, buried deep somewhere up in the back garden of Grandfather King. If you don't mind nine foot monsters lurking in the darkness, covered in fur and with eyes as big as saucers, you are welcome to go and try and find it for yourself. Note from the author: A version of this story can be found in Michael Taft's article “Sasquatch-Like Creatures in Newfoundland: A Study in the Problems of Belief, Perception, and Reportage” page 83-96 in “Manlike Monsters On Trial” (University of British Columbia Press, 1980). Taft gives the location of the story as “Battle Point” but notes that he changed the original name of the community. The description of the monster used here is based on two different accounts of Sasquatch-like creatures reported in Newfoundland, one from the late nineteenth century, and the other from the 1930s. Dale Jarvis is an author, storyteller, and professional folklorist who splits his time between St. John’s and Clarke’s Beach, Newfoundland, Canada. 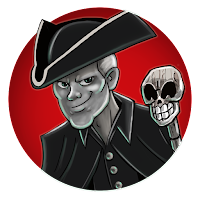 The proprietor of the St. John’s Haunted Hike ghost tour, Dale tells ghost stories, supernatural stories, legends and traditional tales from Newfoundland, Labrador and beyond. The Haunted Hike runs every Sunday to Thursday during the summer, and is online at www.hauntedhike.com. You can like us on Facebook, or better yet, come along and let us tell you a tale!